Death Wobble Cure. 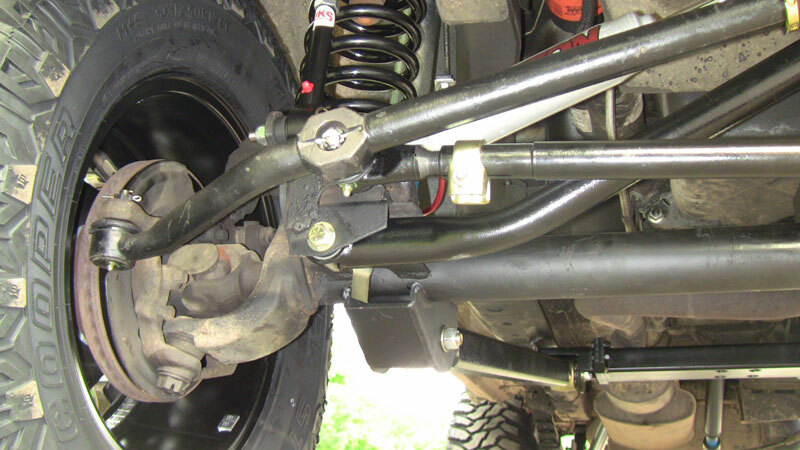 Jeep death wobble is usually caused by a loose or worn out track bar and or track bar bushing. Once you get the dreaded death wobble it ony gets worse since many time it eggs out the lower trackbar hole and therefore allows the track bar to move back and forth. Our HD track bar bolt kit with HD bushing is your answer. This is a new flange bolt kit which is now used on all of our HD track bar kits. Our HD track bars use a larger bushings which has a 9/16 through hole shown below. 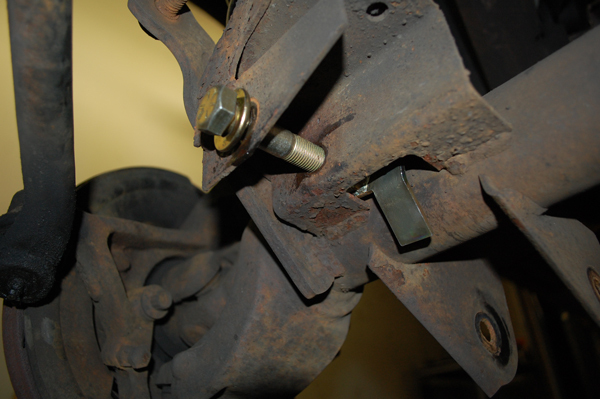 This will require you to drill out the OEM axle side track bar location. 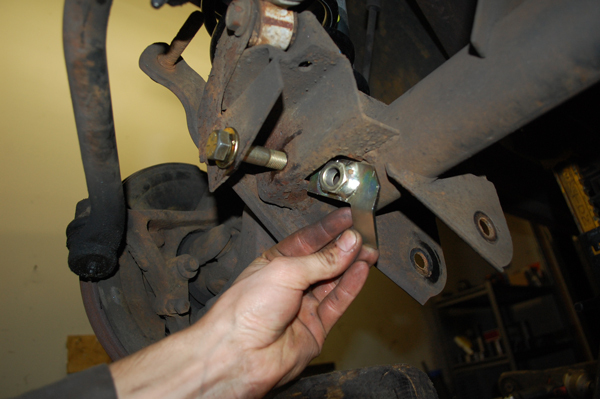 Now the OEM nut and flange do not work and this is were this bracket works very nicely. Laser cut from 1/8, cnc bent, all metal lock nut welded, and gold zinc plated. Comes with 2 washers and a 9/16s grade 8 fine thread bolt. Already have a Clayton Off Road track bar? No problem. Buy this flange tab, and this new bushing, press out the old one, press in the new one, and you have a HD track bar. Fits many aftermarket track bars as well. Or you can buy this kit and our track bar bushing and weld on a new housing. Or simply buy our entire track bar. NOTE : This kit uses a Top Lock - it will NOT screw on by hand. Start by hand, then use torque wrench.